Hertlein’s heuristic is infatuated with organic objects such as trees in her Womb of Water. Her work is characterized by her easily distinguishable figures found in nature, like her trees and shells. Having had the exposure to digital artists like Molnar and Nees, I can see how Grace Hertlein found her own heuristic. She uses generative art to allow the computer to create what it wants in the perimeters she give it. This is similar to Monlars work when she uses randomness to allow the program to create and also like Nees’s work when he only gives allows certain shapes. Hertleins iconic thin strokes are what give her the feel of a hand drawing that is unlike any other artist. 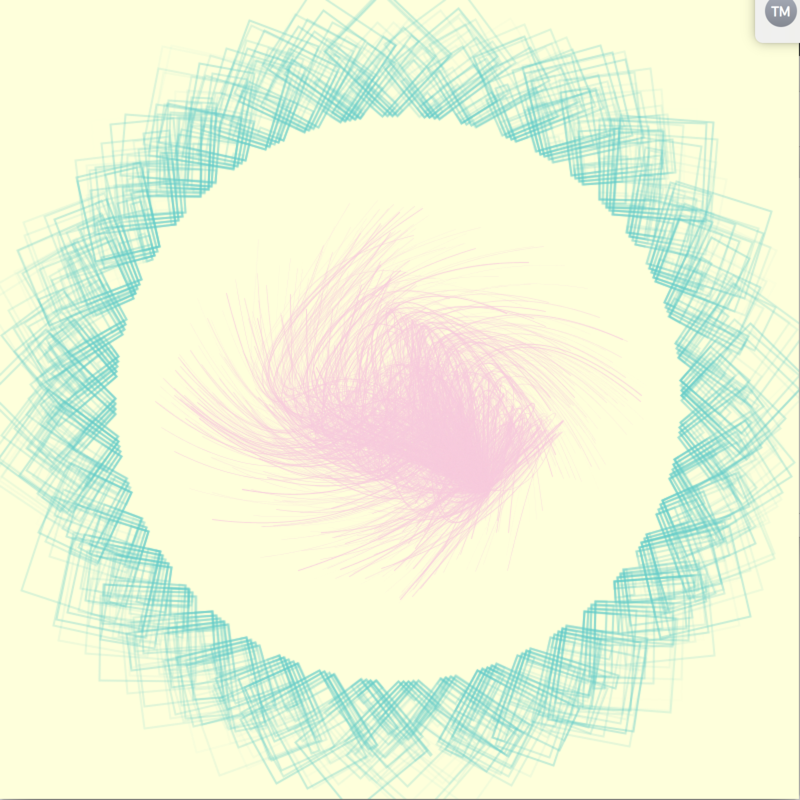 Her use of natural forms that are recognizable in nature is what sets her apart from other coders. Taylor describes her work as being controversial to the movement that digital artists of that time were trying to make. Taylor makes it very clear that digital artists have never been excepted into the art community because of their lack of realism and passion in their work. Hertlein breaks the divide with the her work because what the artists in her field were creating at the time and the serenity and common forms in classical art she uses. Hertlein creates art that fits in neither category, giving her double the criticism of any other digital artist. This is my first and most abstract piece when it comes to responding to Hertlein. In my code I wanted to play around with color compilations and lines. 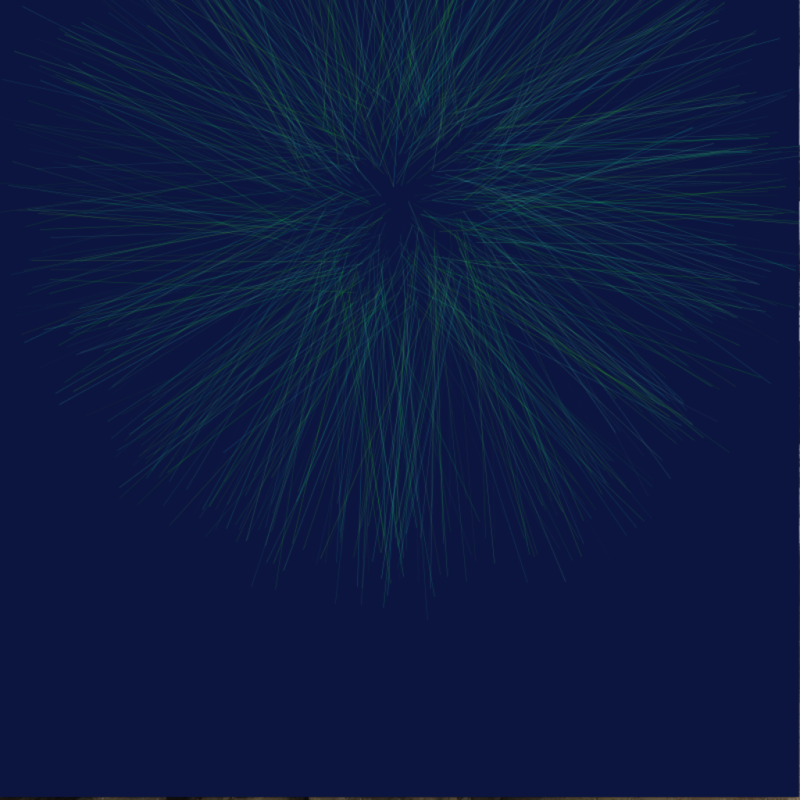 I had been working with the bezier function before and thought it could create a very natural look when randomized. I call this the shrimp dumpling because thats what it reminded me of. I was trying to play with the organicness of Hertleins figures in her codes and what I could create. Unlike Hertlein I did not envision what I wanted to make I just experimented ideas with the code until I correlated my image with a recognizable object. Although it is not like anything that Hertlein would ever make it did put in question the naturalness of food and how we perceive it to be in a different category as a tree for example, when though all food either comes from or lives off the ground, directly and indirectly. This is my second most Hertlein inspired code3. 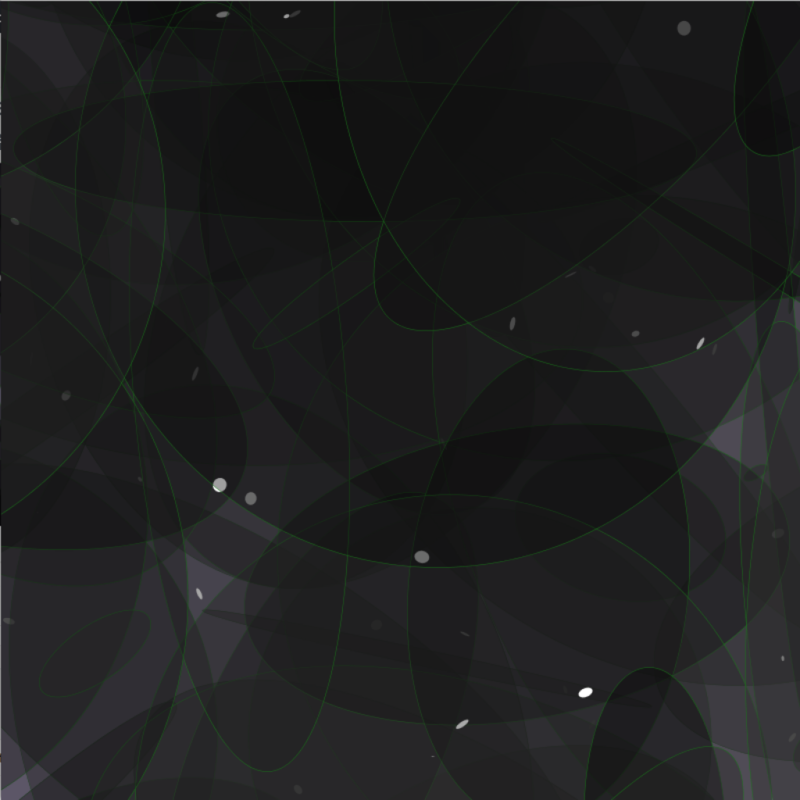 While workin on it I realized it resembles Hertliens work for the first thousand frame counts. I used a thinner stroke to resemble Hertleins use of hand drawn objects. This has a much more organic feel to the piece. As I was learning how to reset my code so it could be shown for a longer duration of time I found myself playing with the color of the background. I called it Accidental Albers. Joseph Alberts is a master color magitian. He makes a color seem different in the same piece even though they are the same by changing the color around it. The stroke of my dandelion is a variation of shades between blue and green. As I reset the background to change colors every thousand frame counts I started to think that the dandelion colors changed as the background did. My eyes were tricking me into thinking the strokes were also changing. Hertlein was very subtle with her colors and from what I’ve seen stuck to two colors in her works. Being able to combine two artists I have learned about and their theories into my work is one of the more excited parts of learning code. This is my last piece called Abstract Sky. When in action it is much easier to see why. I used a tangent noise loop to create the ellipse random formation creating a reset by itself. I also added in a randomized which allows the perceiver to see the background. I tried to take Hertlein’s organic ideas and develop them into my own. When it comes to how Hertlein would interpret my piece she might have a hard time to see where its coming from but actually, I used the darker circles to the sky at night. This is actually seen many times is Hertlein’s works where she used as black or very dark background to see her organic figures better. I tried this with a much simpler approach using the white circles to resemble stars. In conclusion Hertliens heuristic revolves around her organic figures that enrapture her works. As well as the her thin seemingly hand drawn line that give the viewer a deeper connection to the part than simple shapes and lines.